Data models are useful to represent how consumers search for content, products and services. In this model (for Digital Cameras) we see that they in fact search for all three (reviews, accessories and repair shops). This data graphically illustrates what is important to consumers. For example, when looking for product reviews consumers by a 20 to 1 margin are more interested in comparisons vs. ratings. Statistically this is a useful relationship to understand when developing landing page content. A second example – when consumers search for cameras by models they specify the model names over model numbers by a 3 to 1 margin. As you would expect, this is a mature market with 106 million branded searches each month – consumers know what they are looking for. 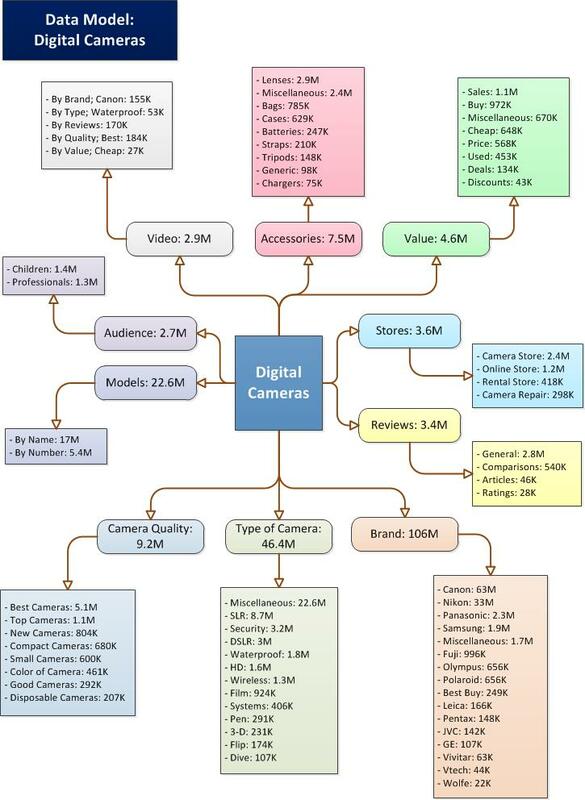 In this model the targeting / content opportunity lies elsewhere, in particular in the categories where the consumers are specifying a Type of Camera, and a specific Quality of the camera they are looking for in a camera. 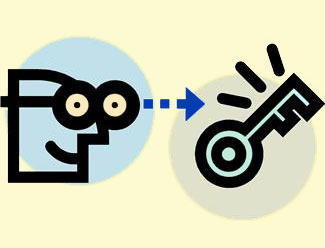 There are just eight adjectives that are being used to define Quality, and there are a dozen camera Types that account for 24 million searches a month. These two categories provide ample opportunity to target consumers with the appropriately written content on custom landing pages. Cameras for children landing page – 1.4 million searches a month. Prioritizing which accessories to promote. Understanding how consumers specify value (preferred terminology). Finally, you can statistically create content by looking at narrow slice of the data (the search for video cameras for example). In this case Canon is the dominant brand, and waterproof is the top type of camera. They also want reviews and to know the “best” video camera. These four data elements provide focus for a landing page for the Best Waterproof Video Cameras. If you are interested in finding out more about Content Strategies and Search Technologies send me (Mark Sprague) an email at: Mark@MSprague.com, or call me now at: 781-862-3126 If you are interested in developing a custom Content Roadmap for your business, please get in touch to discuss your needs.